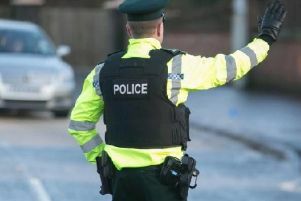 A Craigavon man has been handed down a suspended sentence for benefit fraud. Benjamin Thornbury appeared at Craigavon County Court in Craigavon on Wednesday to appeal a jail term imposed earlier this month. At the sentencing appeal by the Craigavon man, who was convicted of claiming £2,209 in benefits he was not entitled to, his sentence was suspended. Thornbury (28) of Oakwood Place, claimed Jobseeker’s Allowance totalling £2,209 while failing to declare employment. He was convicted in May 2018 and sentenced to a six month prison sentence. Following Wednesday’s sentencing appeal, the original prison sentence was suspended for two years.